Green Fins was originally initiated by the United Nations Environmental Programme (UNEP) under the Regional Seas programme as part of the effort to increase public awareness and management practices that will benefit the conservation of coral reefs and reduce unsustainable tourism practices. It is overseen by the Coral Reef Unit of UNEP based in Bangkok in collaboration with UK charity The Reef-World Foundation. Green Fins is a comprehensive approach that encourages dive centres and snorkel operators, local communities and governments to work together to reduce their environmental impacts. This is primarily done through the private sector adopting a Code of Conduct that will help mitigate their impacts when carrying out marine tourism activities. The Code of Conduct consists of 15 points, which target environmental threats posed by the tourism industry, both under water and on land. 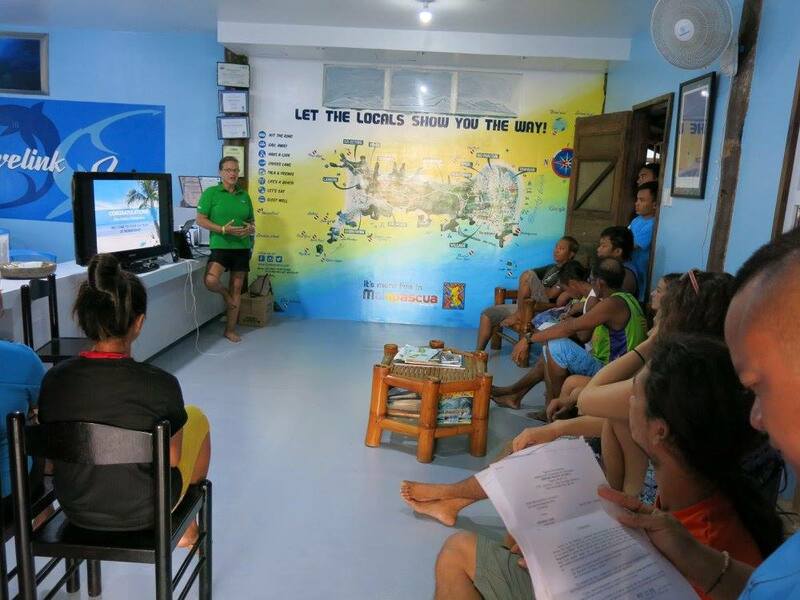 Green Fins members receive the training and the tools to promote environmental education and awareness, tapping into the tourists and the diving community, which is shifting more and more towards eco-friendly initiatives as a result of the demand from the consumer. Green Fins dives even deeper as it creates a network through which dive centres, local and national governments and communities who work together to tackle local environmental threats to protect livelihoods and food security. Members, who join for free, receive annual assessments, training and feedback to help them achieve the Code of Conduct points, that not only standardises membership but also allows a system for measurable progress and collaboration between stakeholders. We at Divelink Cebu care so much about our environment. On top of our partnerships with several conservation projects, we make sure we are compliant with Green Fins' Code of Conduct. We are on our second year of being conscious about how we run tourism to benefit conservation and maintain a sustainable business practice. When you dive with the locals, you are supporting Green Fins, too. So thank you! You can find us in Green Fins' member listing for dive centers in Malapascua Island.